Running an e-commerce website? Watch out for Google shopping. 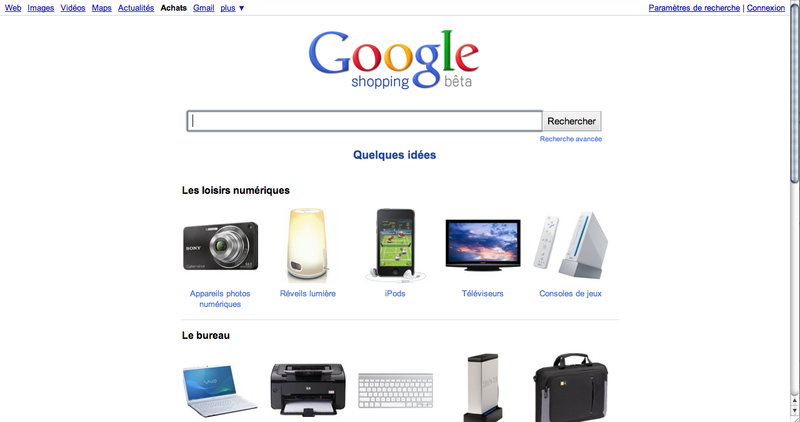 Apparently Google launched a Beta version of “Google Shopping” (Google Achats) in France last week. The application looks very promising and might change the online shopping experience. If you sell over the internet, you definitely should consider listing your products in Google Shopping. How you index your products is explained below the screenshots. In order to appear in the list, an e-commerce website or webshop needs to provide a feed of their products to the Google Merchant Center. Consequently Google indexes the data and makes them available for search and price comparison via a web interface on google.com (or in case via a country-specific url extension). In addition, consumers are able to immediately buy the good if the e-commerce website supports Google Check-out. 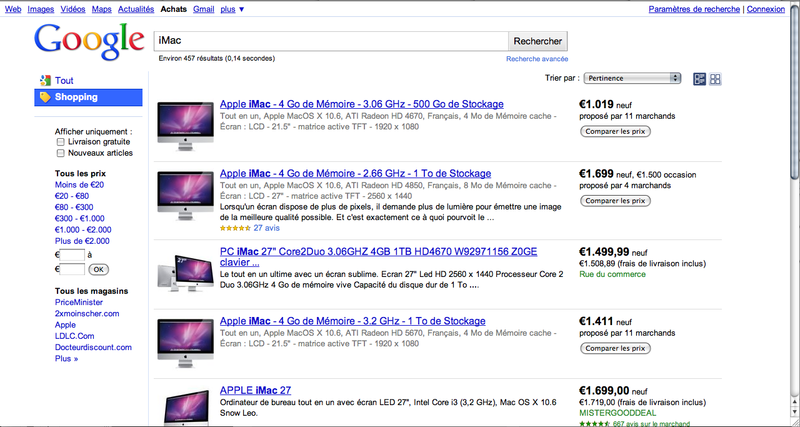 Imagine you want to buy an iMac and want to know the perfect place and price for your purchase. Imagine you’re a go-getter and will search for all places online where you can buy an iMac. Imagine you accurately archive all information in a spreadsheet so to compare the offers. How long would that take? How long does it take with Google Shopping? Can you see the benefits already? 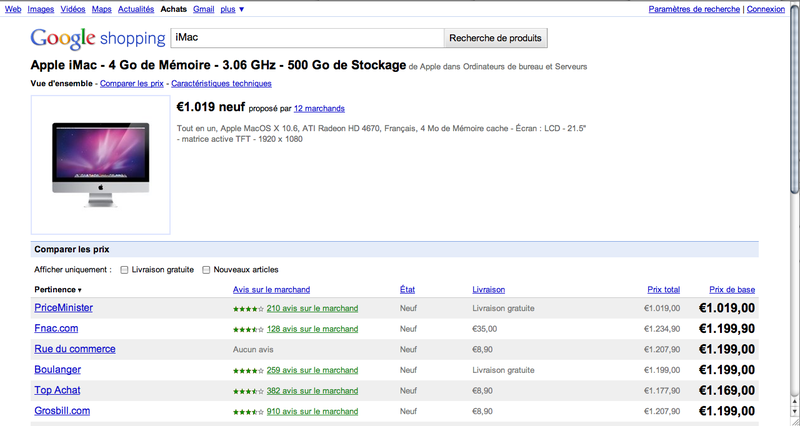 Companies that partner with Google within the “market of the search term ‘iMac’ on Google Shopping France” are listed below. Isn’t it? Why roll out this service by country then? 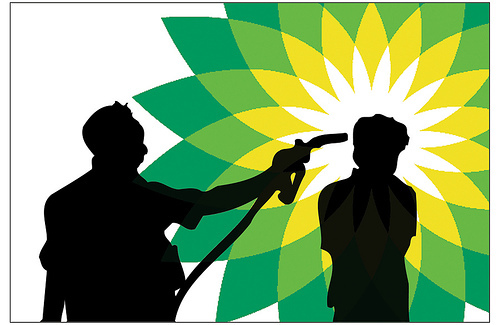 BP: attack on nature and mankind? You might have heard about it: there’s an oil leak in the Gulf of Mexico. BP – held responsible for this disaster – is doing everything within its reach to solve the issue as soon as possible. Instead of discussing the engineering operations by which the company is trying to stop the leak, I want to say a word or two about the marketing (public relations) aspects that come into play. 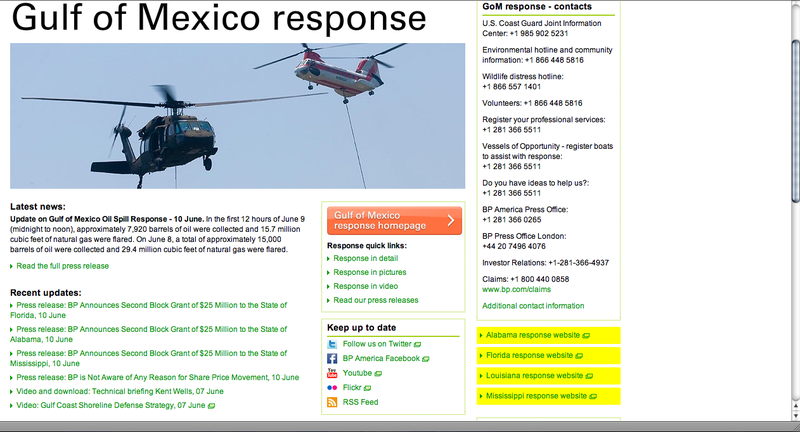 Needless to say that a natural disaster can seriously harm the reputation of a company – resulting in fewer “likers” (cfr: the Facebook like hype on external websites…) or even less people willing to fill up their car at a BP service station. For BP this is as much a disaster as is the oil for the nature and our planet. BP can’t afford to have a decrease in revenue – the cost of the oil spill is already sufficiently high. Reputation management: what is the reputation? SEM stands for search engine marketing. It is the “art” of positioning website pages in the Google query result pages. One can pay Google to be on the result pages. You’ll end up in the “sponsored links” and pay each time somebody clicks your link. This type of search engine marketing is called SEA: search engine advertising. An other approach is to build your website in such a way that it organically (without paying Google) lists well in the search results. This type of SEM is called SEO: search engine optimization. The latter is more sustainable than the first, but takes more time to prove its efficiency. In order to understand the point, one needs to know a bit more about “the psychology of Google result pages”. people believe that they receive good information via this technology – and they actually do ! 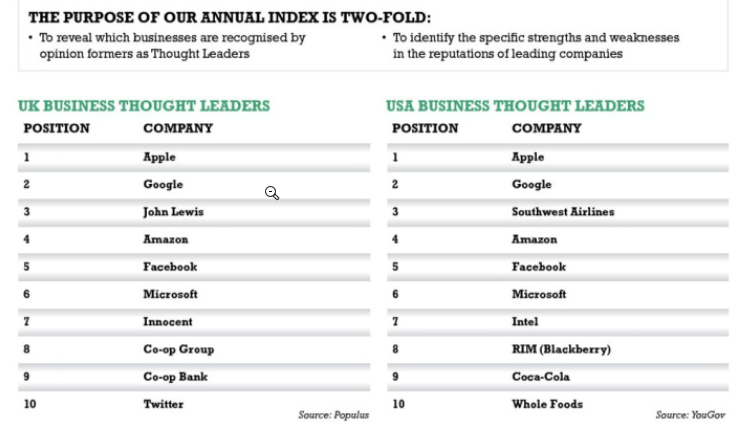 Google has become the number 1 source for people to obtain information. Is SEM a powerful reputation management technique? SEM, both SEA and SEO, are valid reputation management techniques. As a matter of fact, companies should consider thinking about this aspect not only when dealing with so-called crisis communication. What if the first Google result page of your company’s brand name is entirely filled with webpages that you own or that you have relations with? Well, then you would control your reputation when people search for you. How to handle that? Well, just think on the following set-up: index your company (product) specific website in Google, make a Facebook page as well, set up a blog, deploy a twitter account, etc. You’ll note that after a while when people browse your company or product they see pages in Google that are managed by yourself. The reputation that develops in people’s minds is completely under your control. As stated above, SEA is a means to appear in the listing with a finger flick while SEO takes time to have impact. For this reason BP had to run an SEA campaign on the keywords ‘Oil Spill’. Is it wrong to do so? Actually no, it’s not because they paid for inclusion that it is immoral to do so. As a matter of fact, nobody would have questioned BP buying a newspaper page in order to put an ad for e.g. apologies about the oil spill (they might even have done so). Finally, a word about BP. 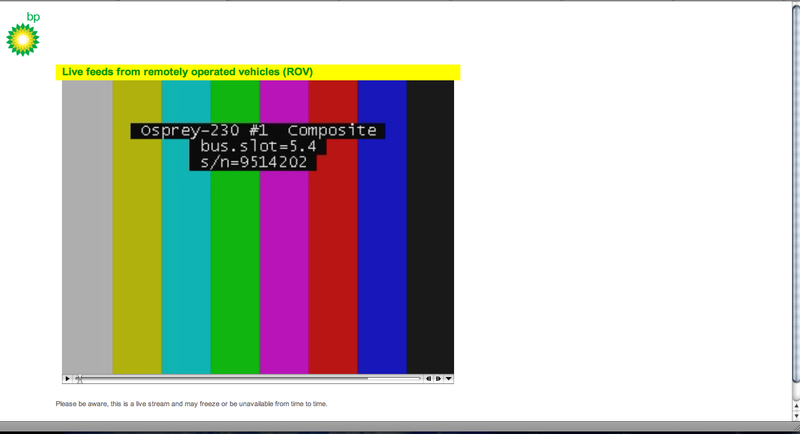 BP's environmentally responsible business program - not specifically related to the leak!